SKU: JF667. 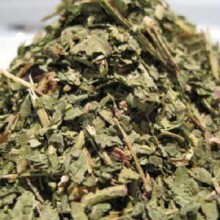 Categories: Single Herbal Infusions, Products beginning with "C". 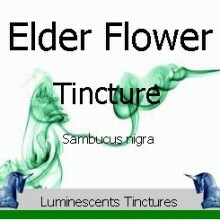 Tags: anaemia, bitter, blood vessels, circulation, digestive, fever, gallbladder, gentiopicrin, heartburn, herbs, high blood pressure, infusion, kidney stones, laxative, Leaf, leukocytosis, liqueurs, liver, Malaria, medicinal, phenolic acid, rheumatism, tea, tonic, traditional, vermouth. Centaury Herb is a small erect annual or biennial herb and is indigenous to Europe, Western Asia and North Africa but now naturalised in North America. The stem grows up to 30cm high, branching considerably at the top and arising out of a tuft of small, broad ovate leaves. Numerous pink or red flowers arise in a terminal cyme or panicle. It favours dry, shady banks, waysides and pastures. Several subspecies are recognised. 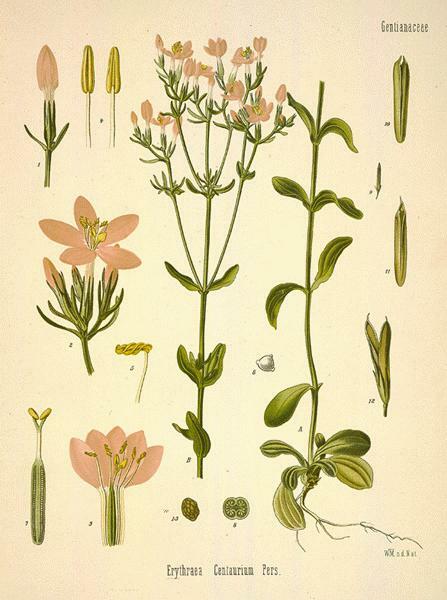 Centaury Herb’s bitter action stimulates digestive secretions; the secretion of gastric juice increases as soon as the herb acts on the mucous membranes of the mouth. 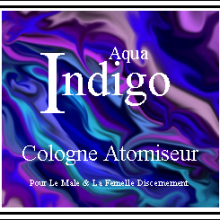 It also stimulates the sympathetic system and circulation, and has a tonic effect on the blood vessels. Temporary leukocytosis has been noted, implying that the tonic action goes beyond the stomach. 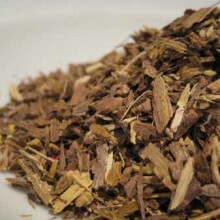 In Europe, Centaury Herb is used in anaemia and liver and gallbladder disease. It is gently laxative and, taken after meals, is an excellent remedy for heartburn. 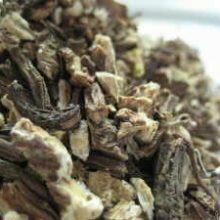 It can also enforce the action of anthelmintic herbs. Like many of the bitter tonics, it is effective in reducing fever and has been used as a quinine substitute in the past. Research has shown that this action is due in part to the phenolic acid component. Another constituent, gentiopicrin, has been reported to have antimalarial properties. Research also confirms the plant’s potential for treating rheumatism and gout, as the alkaloid gentianine has demonstrated strongly anti-inflammatory properties. 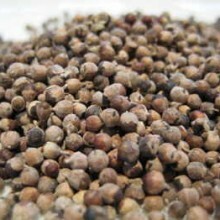 In Egypt the plant is used to treat high blood pressure and kidney stones. It is an ingredient of vermouth and several bitter liqueurs. The mythical centaur Chironia, cured a poison arrow wound with Centaury, hence its name. Erythraea is derived from the Greek erythros, meaning red. The Anglo-Saxons used it for snakebite and other poisons, and for curing fevers, hence its common name Feverwort. Culpeper described it as ‘very wholesome, but not very toothsome’. The German herbalist Father Sebastian Kneipp, recommended Centaury for melancholy and for calming the nerves. It was an ingredient of Portland Powder, a treatment for gout. 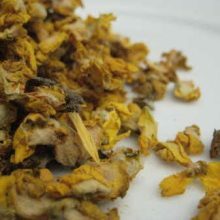 New Products, Flowers and Petals, Single Herbal Infusions, Products Beginning With "M"